Video: What Is Full Service Payroll? Did you know that over 1-in-2 small business owners report spending more than 3 to 10 hours each month on payroll? That’s anywhere from 45 minutes to 2.5 hours every week — way too much time for busy business owners to spend on administrative work. If you're looking to simplify your business' payroll and tax filing, Full Service Payroll could be the perfect solution. Watch the video or read to learn more! Full Service Payroll is a fast and intuitive way to run payroll online with just a few clicks. You just sign up, create your payroll portal and get going. To run a payroll, you simply enter employee hours and wages, approve the payroll and your employees are paid via check, direct deposit or cash. What separates Full Service Payroll from basic payroll services? With Full Service Payroll, the payroll provider calculates, files and deposits payroll taxes, like W-2s, W-3s and 1099s, on behalf of the small business. All aspects of your federal, state and local taxes are handled, and a reputable payroll provider guarantees accurate filing — or they'll correct any mistakes and pay the fines. That also means that you're protected from common employer tax mistakes — which cost 40% of small businesses and average of $845 in IRS penalties every year. See how affordable and hands-free payroll can be! Most payroll companies either charge per payroll or offer a month-to-month subscription plan which guarantees unlimited payrolls. Unlimited payrolls are popular with merchants from a variety of industries because they can run payroll online as often as they need without potentially doubling or tripling their costs every month. 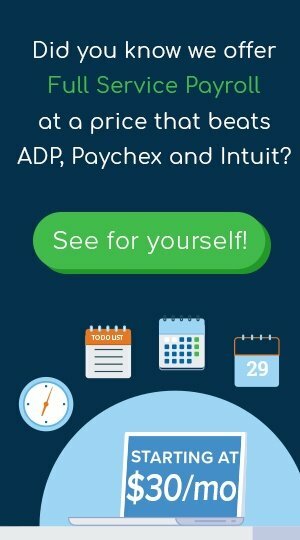 If you run multiple payrolls every month, you’ll see significant savings compared with companies that charge per payroll, like ADP and Paychex. Accurate and secure tax filing doesn’t just provide peace of mind; it saves you serious money! In 2017, the IRS penalized businesses $5 billion for employment tax mistakes. Your payroll provider should file and deposit all of your business’ federal, state and local taxes with guaranteed accuracy and security. If there are any errors, the payroll provider pays the fines and handles reconciliation. Do watch out for the end-of-year or quarterly filing fees some payroll providers charge because they add up quickly. 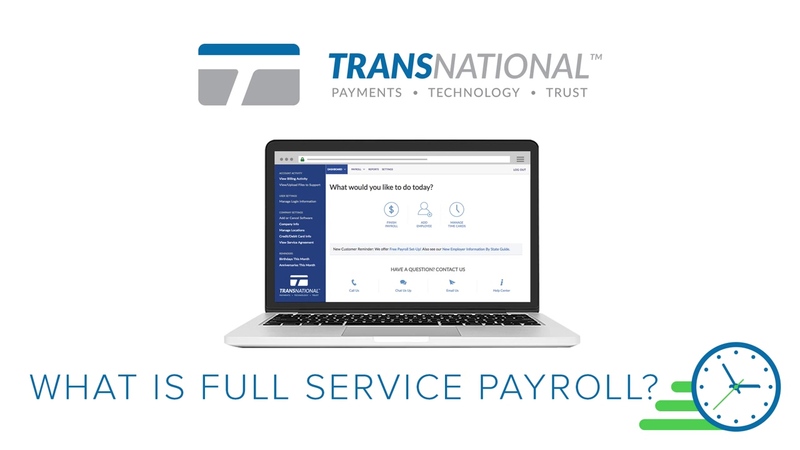 Some payroll providers charge setup fees, but TransNational Payments can set up your payroll portal and transfer tax history for free! We always offer US-based support via phone, email or online chat. Pay your employees through direct deposit, printed or handwritten checks or cash with Full Service Payroll. An employee portal gives your employees secure access to their pay stubs, pay history and payroll information — free for every employee. Many payroll solutions offer add-ons for even more convenient payroll management. Two common add-ons are Time & Attendance, an online timekeeping solution; and Human Resources software, which stores your employee records and company documents securely online. If you speak with a TransNational Payments payroll expert, we can help you decide whether payroll add-ons would benefit your business! ask our payroll support team for free portal setup! $30/month. 30-day free trial. 100% time-saver.